May 2017 If the message doesn't display, open it in browser. Planning an important dinner, where you have to shine like a master chef? Just follow the tips below and let the magic happen in your kitchen! 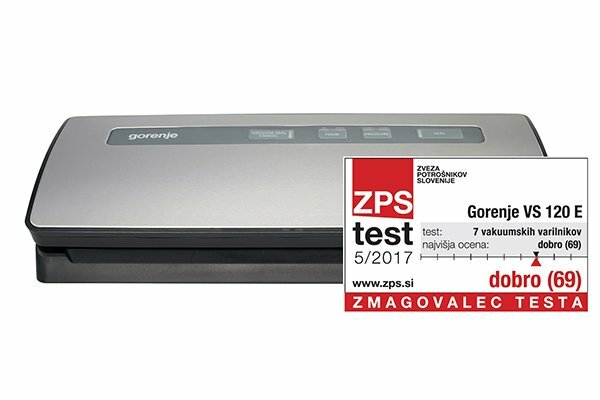 We are proudly announcing that Slovene Consumers’ Association (Zveza potrošnikov Slovenije) declared Gorenje Vacuum sealer VS120E the best vacuum sealer in the country. This small domestic appliance is truly essential for keeping your food fresh! It works perfectly for storing either dry or liquid food, and because vacuum-sealed bags prevent loss of juices and aroma, they are the perfect way to prepare your food for sous vide cooking. You can also use the vacuum sealer in combination with vacuum canisters, Gorenje original accessories. With the sous vide technique, food is cooked in vacuum-sealed or resealable bags. All juices, nutrients and aromas thus remain in the food. Now you can take nearly any pot you already own and turn it into a top-class sous vide cooker! Simply attach the sous vide stick using the convenient clamp. 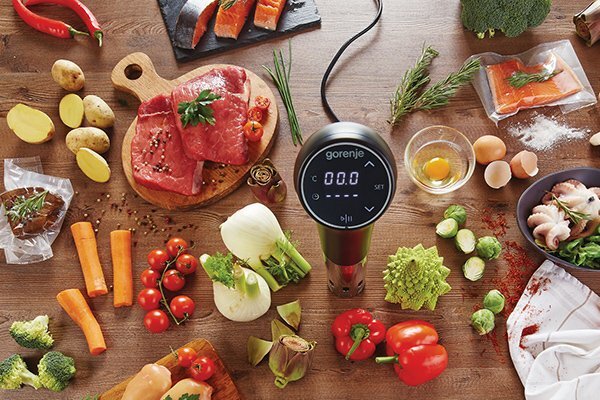 Gorenje Sous vide stick SVS19B is a super silent helper that allows you to cook precisely at the set temperature in the range from 40 to 90 °C (with +/- 0.1 °C accuracy). The secret is in water circulation that ensures even temperature in the entire pot. Available in June. 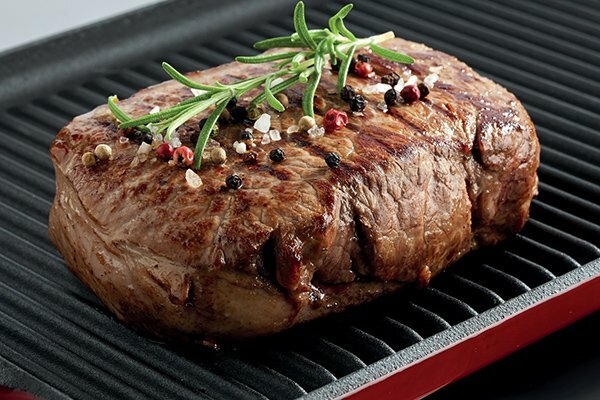 For a final touch, cook like a master chef with brand new Gorenje Deep red collection cookware. Exclusive Cast iron grill plate GPCI240R is developed and designed by Gorenje, with exceptional results on induction hobs and cookers. For additional gourmet pleasures you can also cook with two Cast iron pots, the CWCI24R (3.5-litre capacity) and the CWCI28R (5.5-litre capacity). Experience the pure pleasure of slow and even cooking. The entire collection is perfect for healthy homemade cuisine and super useful as it is suitable for all hobs, ovens and grills.